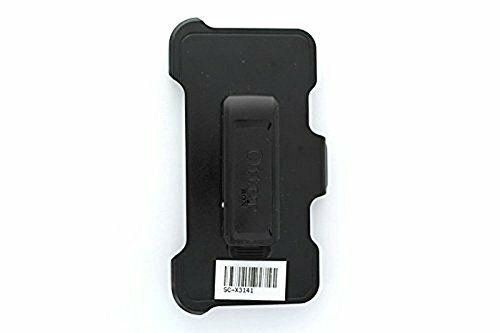 Quick Clip Pro Tough Clips Functionality of handmade Kydex Clips with the strength of a polymer clip with adaptability. Non-Branded Design allows the custom holster maker to let his handcraft standout above everything elseOur extra thick polymer material means more durability and a longer lifespan as well as less time hand making clips! FEATURES: * Accommodates 1/2" and 5/8" hole spacing. * 1.50" and 1.75" Clip share the same overall length and hole placement * Dimensions: 3.42" Long x 0.81" Wide * Top Horizontal Oval Provides an Adjustable Cant Feature. 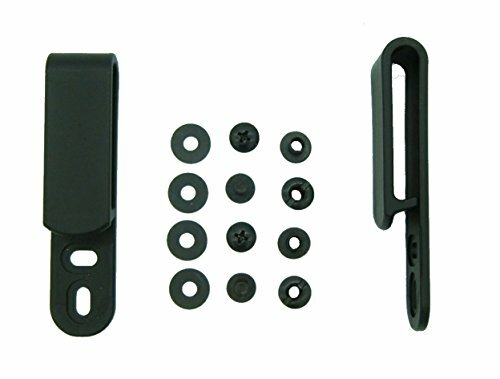 * Includes Hardware-Black Oxide Screws & Open Back Chicago Screw Posts & Washers All of our clips are Made in USA, they include a Lifetime -No-B.S. Warranty...so take your holster to the next level with QuickClip Pro! QuickClip Pro 1.5" or 1.75" FOMI Quick Clips w/Hardware ✔ The Professionals Choice Go-To Quick Clip for IWB or OWB Holster and Sheaths. 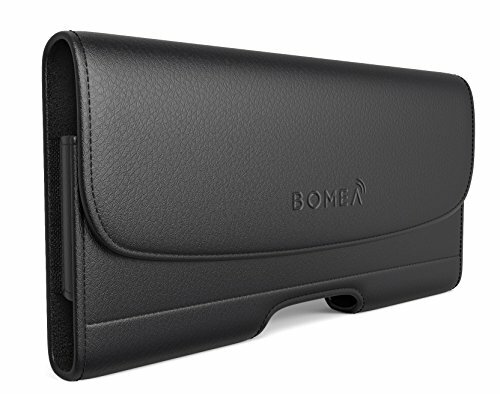 ✔ Will fit over most gun belts, even double thick leather belts. ✔ Includes hardware, two per clip 8-32 x 1/4" slotted w/through hole chicago posts, two 8-32 thread x 1/4" long phillips head screws and two rubber washers. ✔ Clips have 2 pre-drilled elongated holes with hole spacing approximately 7/8" 0.875" apart center on center. 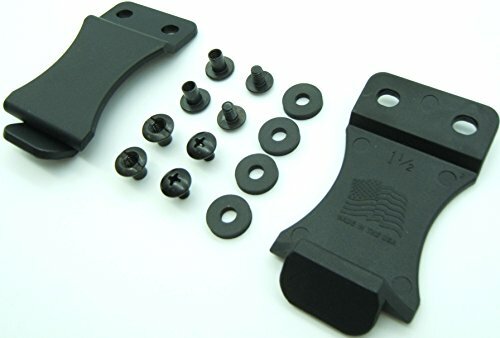 ✔ Perfect replacement clip for worn out factory holster clips. SPECIFICATIONS: ✔ 2 or 10-PACK of Clips & Hardware for each clip ✔ Size Specs for 1.5" - (2.85" Length x 1.5" Width x 0.465" Depth) ✔ Size Specs for 1.75" - (3.1" Length x 1.5" Width x 0.465" Depth) ✔ Hole Space; 0.875" On Center, Elongated Holes are 0.1875"W x 0.2375"L ✔ Material Thickness; slightly over 1/8" @ 0.135" ✔ 1-Year No-B.S. No Hassle Warranty ✔ 100% Made In USA, Clips & Hardware ! Add This To Your Cart and Take Your Holsters To The Next Level! 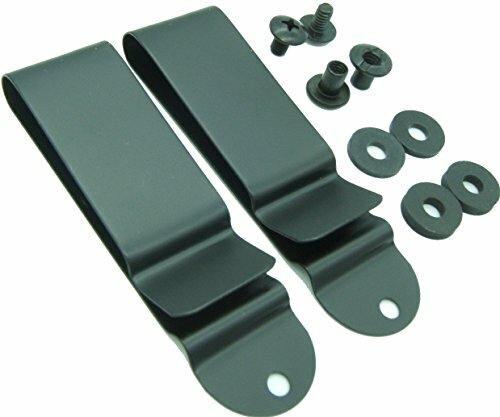 The Perfect Clip for Your Project -High Carbon Spring Steel Resist Twisting, Warping or Permanent Bending -Superior Black Powder Coating for the Ultimate Finish -Width: 7/8" Inside Length: 2 1/4" Overall Length: 3 1/2" Hole Diameter: 5/32" -Perfect for Holsters, Sheaths Or Any Other Project -This is a 10 PACK!!! Designed to resist metal fatigue and offer a lifetime of superior performance. This is an absolute must for a holster clip. The black powder coated finish is the best that you can get for a clean quality look that any craftsman would be proud of. Whether you're a professional holster maker or hobbyist you will not find a better quality or value when it comes to holster or sheath clips. 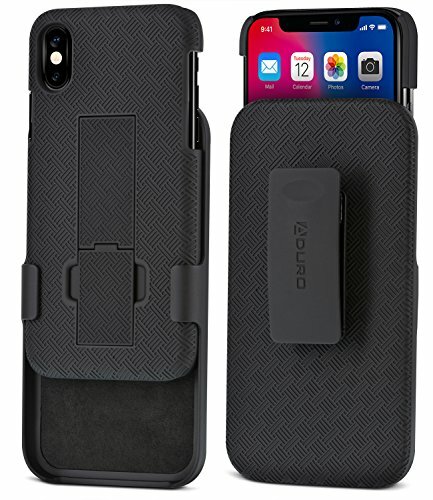 We know the pain of having a loose Belt Clip and phone falling off your holster constantly when in motion. 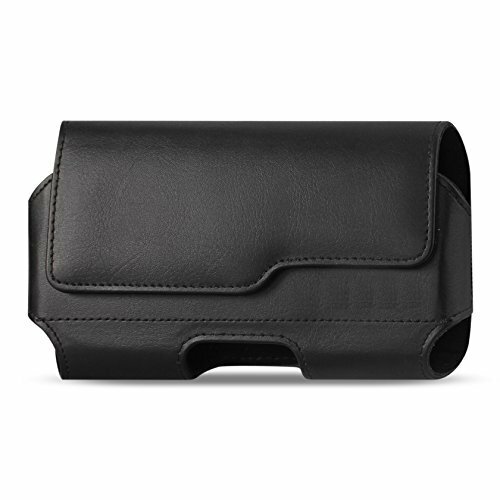 That is why GSM Leather Holster are design to be Secured and Durable for everyday use. Our Leather Holster provides excellent protection against dirt, dust and scratches. 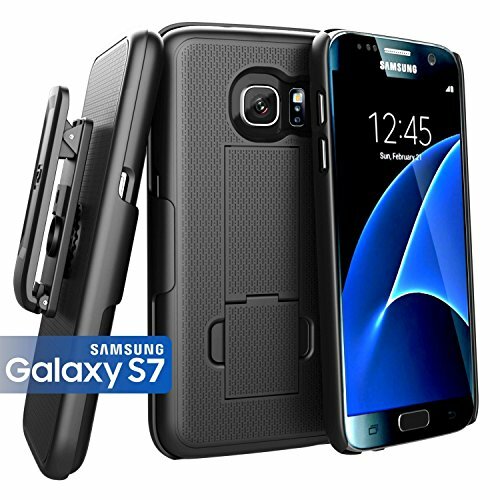 Don't worry about dropping your phone as our Magnetic Closure offer Secure and Easy Access to your phone. Strengthened Metal Clip and Belt Loops give you a piece of Mind that your Holster is Secured and Durable for everyday usage. At GSM we want to create products that address your concerns. Quick Clip Pro Black Oxide Steel Holster & Sheath Belt Clips Non-Branded Design allows the custom holster maker to let his handcraft standout above everything elseOur Heavy Duty Carbon Spring Steel material means more durability and a longer lifespan as well as less time hand making clips! 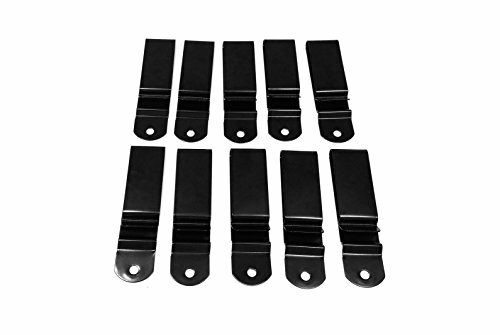 FEATURES: * 5/32" Hole Diameter * Dimensions: 3.1875" Long x 0.875"(7/8") Wide *1.75" Belt Size, fits Double Leather Belts* Includes Hardware-Black Oxide Screws & Open Back Chicago Screw Posts & Washers All of our clips are Made in USA, they include a Lifetime -No-B.S. Warranty...so take your holster to the next level with QuickClip Pro! This is a VR to Wil over at Garage Holsters regarding how I make my fold over clip for my IWB holsters. 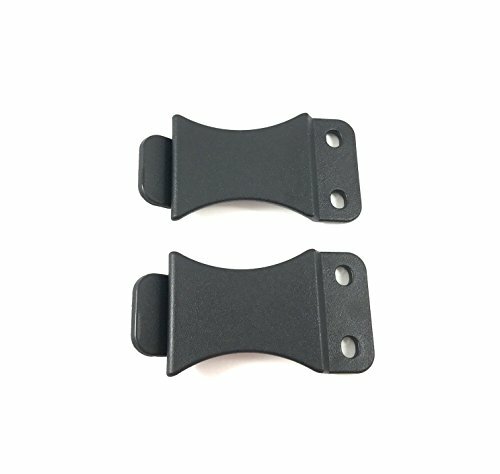 Compare prices on Holster Belt Clip at ShoppinGent.com – use promo codes and coupons for best offers and deals. Start smart buying with ShoppinGent.com right now and choose your golden price on every purchase.